Gourmet Basket respects your privacy. We do not sell, rent or loan any identifiable information regarding our customers to any third party. Any information you give us is held with the utmost care and security. Gourmet Basket will not reveal your personal information to any third party unless required to do so by law. When you purchase a gift, we collect your name, your telephone number, your email address and the address and phone number of the recipient of your gift help Gourmet Basket to deliver your order on time to the correct location. A Customer Service Representative may contact you by telephone or email to resolve any questions we might have about your order. If you subscribe to our Newsletter, we collect your first name and email address. We also collect information about your browsing of our website using Cookies. This helps us to understand our customers better, and may make the use of the site quicker for you. You can disable cookies by changing the settings in your browser. If you open an Account with us, you may login at any time and change or delete your information stored by us, or you can email us at service@gourmetbasket.com.au and we can do this for you within 24 business hours. 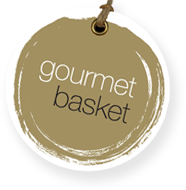 If you have a complaint about your privacy with Gourmet Basket please email us at service@gourmetbasket.com.au and we will address the matter promptly.